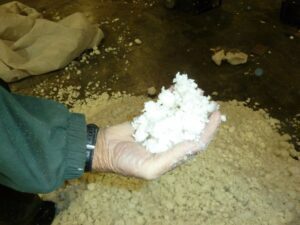 This attachment allows for a very swift, clean and easy clean up of spray foam trimmings. There is no need to collect bulky shavings. Simply sweep the shavings into the opening and the vacuum pulverizes the shavings into particles which make for a very efficient cleanup. No need for another vacuum dedicated to foam. 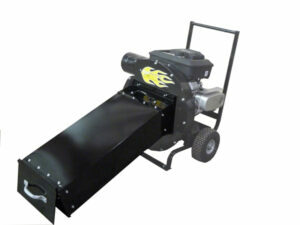 The slide insert allows for quick adaptability from a standard vacuum to the foam vacuum. 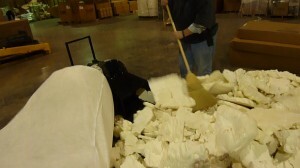 Effectively shrinks a large pile of shavings int a small pile of pulverized foam. 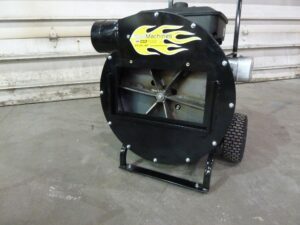 Available for the Cool Vac 16 and Cool Vac 23 (20 inch models).